The powerful, alluring and compelling tropical beats of Africa are Ghana dance your heart away at Folkmoot Festival 2018! 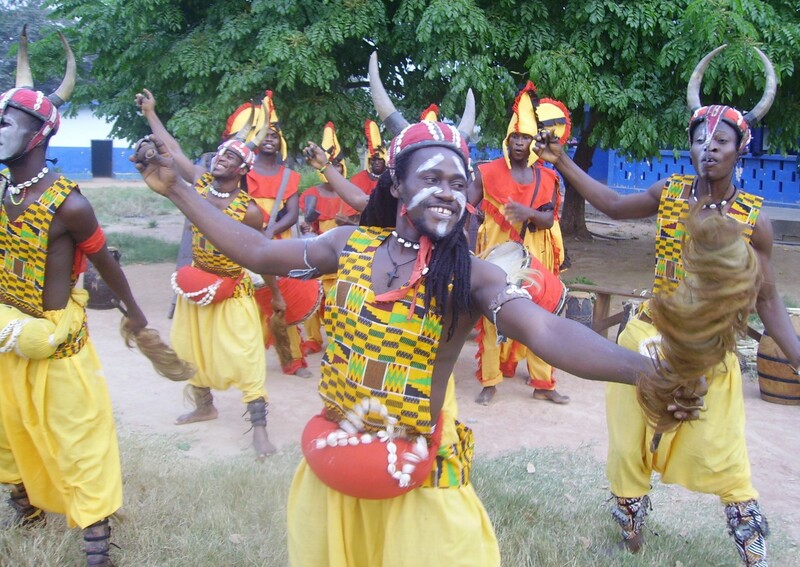 Nkrabea Dance Ensemble of Accra, Ghana is just one of the many treasures awaiting festival goers when Folkmoot 2018 heats up July 19-29 with performances all over Western North Carolina. Tickets for some performances are already available online. Nkrabea is one of the most powerful and entertaining cultural groups performing in Africa today. The group is filled with young, talented Ghanaians who are, by any standards, dedicated to and passionate about what they do. Founded in 1995 and affiliated to the Centre for National Culture and a member of the Ghana Dance Association, the group has 25 energetic youthful members, ranging in age from 18 to 30. 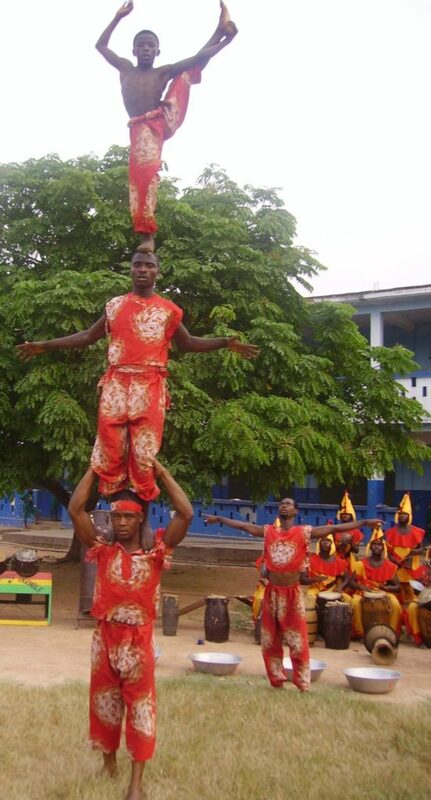 They are well rehearsed in African traditional drumming and dancing, contemporary dances, folk music, acrobatics display, fire eating, stilt dancing and more. The group has performed for visiting international dignitaries to Ghana, including Former World Bank President, Mr. James Wolfensohn, Former U.S-President Bill Clinton, Former U.N Secretary General, Dr. Kofi Annan and other high profile visitors. The group has since its establishment insisted on high discipline, dedication, focus and passion with very little income that only comes by way of spontaneous donations from appreciative individuals. Somehow, the group has managed to carry itself on the strength of shared passion of its members to educate and entertain the world through African culture. The performance of the group is mostly dance-oriented and culturally contextualized. Each dance is ceremonial and represents an African celebration, often showcasing or invoking certain colorful ancestral practices. The costumes are as dazzling as the dances and lend authenticity and originality to the overall performance. Beyond songs, costumes and dances, there are captivating physical feats that make the performance of the group appreciatively dimensional. The troupe has participated in many international folklore festivals around the world, including Aberdeen International Youth Festival(Scotland), Alnwick International Music Festival (England), Sabah International Folkore Festival (Malaysia), Petailing Jaya International Folklore Festival (Malaysia), Festival International de Danse Traditionenelle et Contemporaine (Togo), Yosakoi International Festival(Ghana), and others.